We could always use a bit more space in our small apartment, particularly for things like tissue boxes, glasses or maybe even small planters. Using our walls is an obvious choice. 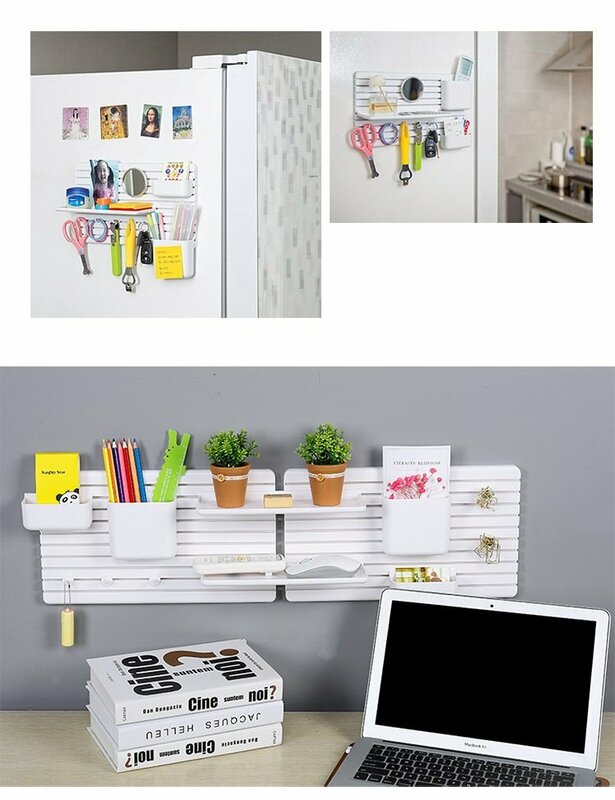 In a previous post we have mentioned the versatility of pegboards and a modular system that uses the power of magnets. However, are there other options out there? The answer is YES, take a look at what we found. We think this product is great for tiny kitchens and bedrooms that don’t have a bedside table. The great thing is that you don’t need to damage your walls to apply, as adhesive strips will do. It comes with 6 pegs and two different sized boards for storage. The more tiles you buy the more possibilities. From the looks of it, small items are good to go, but I wouldn’t hang pots and pans. Head on over to Hokobuy.com to get yours. This product again works with the versatility of modularity. 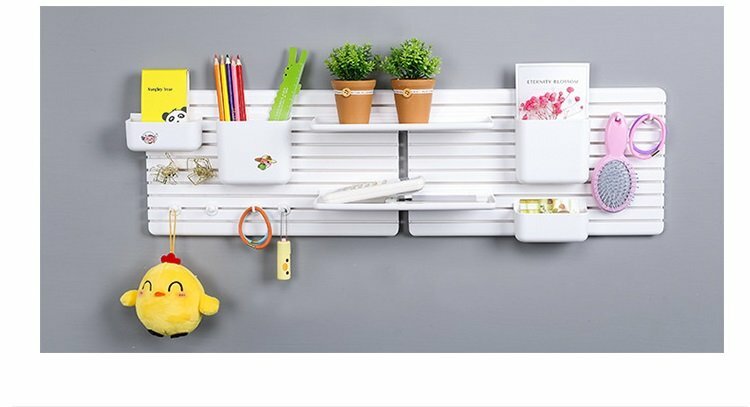 However instead of using pegs, they use slats with hooks and a variety of different sized boxes and boards for storage. Once again, adhesive stickers will do the trick. We can definitely imagine this also in a small bathroom or a landing spot for keys or remotes! Head over to HKTV mall to find the right combination for you. The options above are renter friendly and your landlord will thank you for it. But wait, adhesive tape sometimes are hard to take out or might even rip off some layer of paint. Not to worry, we came across a wikihow for some really cool solutions for removing it. 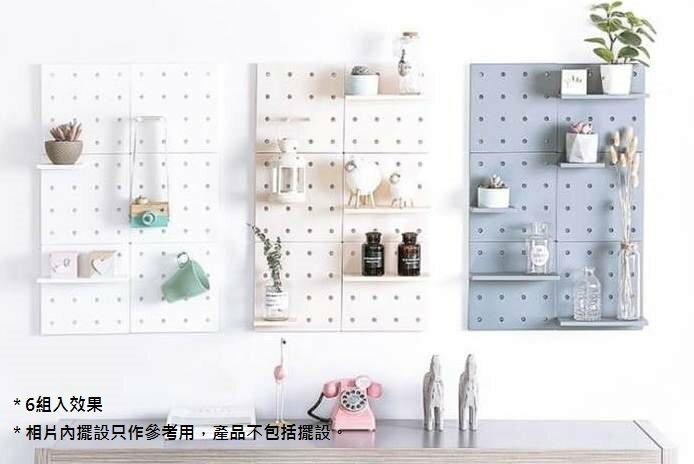 It’s always nice to come across wall storage for renters, particularly for small space dwellers like us. 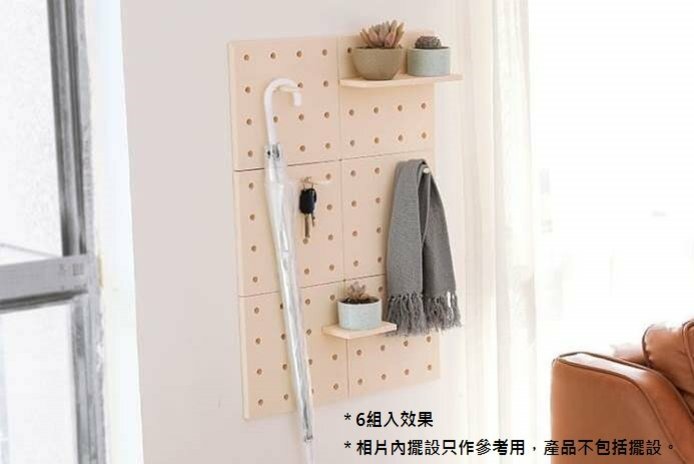 Are there any other wall storage products you find useful? Leave a comment below.